Five bridges have crossed Thomas Creek at this specific location. Little is known about the first bridge, other then it was built in 1861. 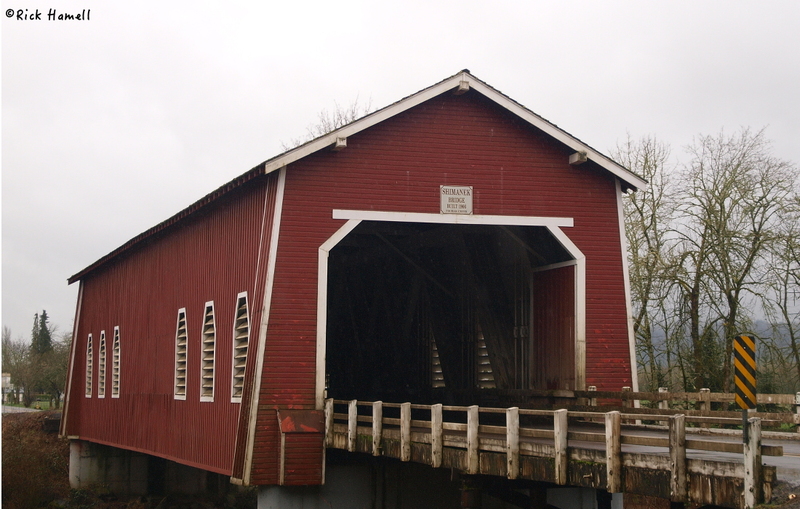 Linn County has records that state the first covered bridge at this location was built in 1891 for $1150. This second bridge didn’t even make it to two decades before it was replaced in 1904 though. Unfortunately, bridge number 3 was washed out by flooding a mere seventeen years later in the 1904 flood. Dutifully it was replaced yet again and lasted an entire thirteen years. The flood of 1927 severely damaged the bridge piers enough that the bridge had to be completely replaced. Bridge number four managed to outlast it’s predecessors but the Columbus Day Storm of October 12th, 1962 severely damaged the bridge via blown over trees. The damage was enough that the bridge’s weight limit was reduced to 2 tons and a single lane of traffic. For unknown reasons (everyone says “the bridge was destroyed soon after,) the bridge was totally replaced in 1966. Likely the damage was too much to repair sufficiently. The current bridge, number five for those keeping track, was based on the 1927 bridge design. 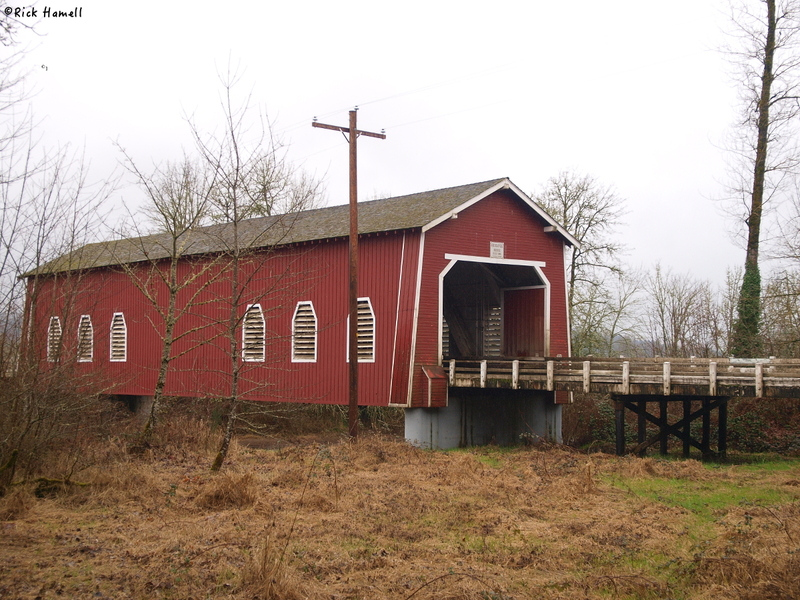 This is interesting because other then the Shimanek Covered Bridge, Linn County has a very distinct style of covered bridges. The most obvious difference is that the bridge is painted red instead of white. It also has louvered “windows” instead of the more open sides the other bridges feature. While the bridge is a Howe Truss design, it has four tie rods instead of the regular three. I wonder how much the extra tie rods are an added “design” feature to help keep this bridge in place. So far it’s working. The bridge has survived 47 years, ten years longer then any other bridge in this same location. From Stayton, Oregon, travel south on South 1st Ave. This becomes Stayton Scio Road. Turn left on Richardson Gap Road. Follow this road for several miles as it crosses Shimanek Covered Bridge.